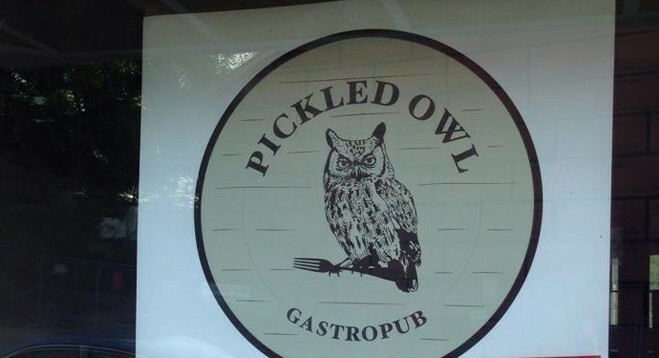 When Pickled Owl, a new gastropub, opens on Monday in Hurleyville, proprietor Evan Allees and his family, friends and staff won’t be the only ones celebrating. The leaders at The Center for Discovery, a large nonprofit based in Sullivan County that owns the restaurant building, are just as excited. The Center for Discovery, whose core mission is operating homes, schools and clinics that provide care for children and adults with developmental disabilities, began investing in Hurleyville nearly a decade ago. Monday’s restaurant opening is just one result of years of buying and rehabilitating run-down buildings and then working with local business owners to bring them back to life. The building at 218 Main St., where Allees is preparing to welcome diners in a few days, is just one current project. In some cases, like Pickled Owl, the nonprofit has bought buildings, refurbished them and then leased them to independent operators. In other cases, the organization is moving its own programming into the new spaces. Across the street from the new restaurant, the Hurleyville Arts Center is under construction, with an opening tentatively scheduled for this winter, Humleker said. That complex will house a 150-seat cinema, a large live-performance space and a dance school. A pottery and fiber arts program the center operates for its clients will move into another Main Street building. “We’re interested in bringing good things to town,” Humleker said. Just down the street, at 238 Main, the center owns and operates the one-year-old Wild Turkey Bakery and Market, which sells baked goods and products such as teas, herbs and honey from the nonprofit’s two farms, Thanksgiving Farm in Monticello and Stonewall Preserve in Hurleyville. The Center for Discovery was producing and promoting local food in the Catskills long before the current trend began luring Brooklynites to the upstate woods. Thanksgiving Farm launched its CSA in 1993; it now has 300 members. Both farms provide food for the center’s programs, including 45 residential homes. “We care for very fragile children and adults, and giving them access to good food has always been a priority for us,” Humleker said. Expanding recreational opportunities is another priority. The O&W Rail-Trail has a trailhead in town, and the center is working to make it accessible to physically challenged hikers. The center’s latest tenant is ready to start cooking. 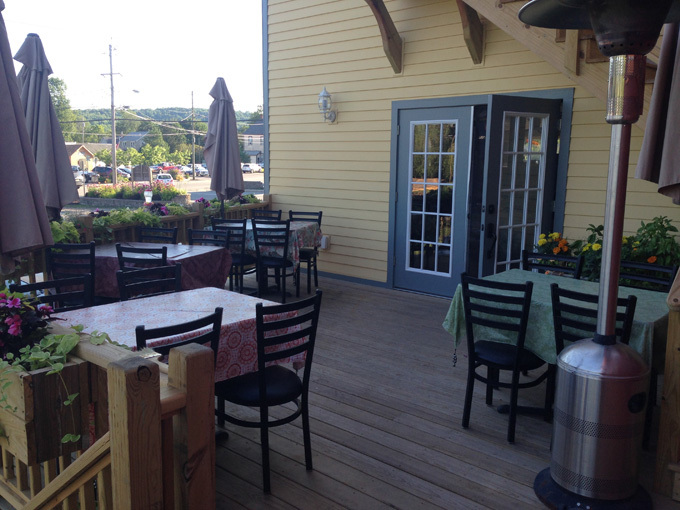 A Liberty native who returned to his home county after completing a degree at the Culinary Institute of America in 2008, Allees said the restaurant’s location adjacent to the rail-trail was a large draw. He’s hoping to attract visitors looking for refreshment before or after hiking and biking. 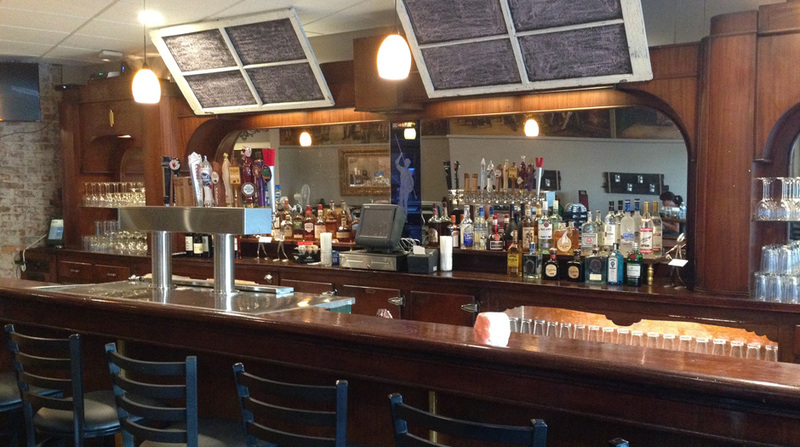 There’s an outdoor deck, along with a large dining room and a bar. He describes Pickled Owl’s menu as “upscale pub food” such as fried chicken, burgers, fish and chips, meatloaf and a New York strip steak. Allees plans to source some of his produce from The Center for Discovery’s farms, is doing his own pickling in-house, and offers an extensive craft beer selection. The 12 taps include two beers from Catskill Brewery in nearby Livingston Manor: Freak Tractor, a wild ale, and Ball Lightning Pilsner. Other selections include Sixpoint Brewery’s Resin, Anderson Valley Oatmeal Stout, Left Hand Milk Stout and Guinness. Find Pickled Owl at 218 Main St., Hurleyville, beginning Monday, Aug. 3. It serves lunch and dinner Wednesday through Monday from 11:30 a.m. to 9:30 p.m.
Go to the Pickled Owl, don’t walk..Run! A gem in the heart of a Hamlet that is being infused with new life ! Do not miss the experience of dining indoors or out at this self described Gastro Pub brimming with charm , delicious food and the elusive “it” factor that comes from local owners who are proud to open their home to us! No detail is has been overlooked while providing a veritable feast for the body and soul! What a delightful and comfy eatery! Today after Holy Mass we decided to FINALLY take a ride over to Hurleyville and sample The Pickled Owl. I must admit that I do have one regret about doing so – that we didn’t do this earlier!! Evan and Brynne (Sorry if it’s misspelled!!) bill their place as a “Gastropub,” which is basically a trendy bar and restaurant. Evan is the chef and trained at the Culinary Institute of America. Check out their really cool “Spirits” selection in the pictures section! Local stuff too! The place itself is very inviting with comfy couches and chairs/benches accompanying the traditional tables and booths. The décor is rather eclectic and quite tastefully arranged. We felt welcomed from the moment we stepped in. The service was excellent and non-intrusive but very friendly. Now on to the yummies. Pilar had the Ranchero Eggs, which really were spectacular, and I have proof! Pilar has very high standards with regard to restaurant food and almost always finds something not quite right or off about what she is served. I will quote her word for word regarding her meal which she scarfed down rather quickly and actually finished before me…. something which has never happened before. She said, “I’ve not had such a delicious breakfast in several years.” Enough said. I decided to try out the Biscuits with Gravy & Fried Chicken. Can you imagine Mobile, Alabama fused with midtown Manhattan, New York? Well, that’s what it was. I’ve eaten in the Deep South and I know what a REAL biscuit and REAL gravy taste like, smell like, and what their consistency ought to be. On the side, I also know what grits are unlike Joe Pesci in My Cousin Vinny. This biscuit smothered in gravy were about as authentic as I’ve had up here in “Yankee” territory. In between the biscuit and the gravy was a tender, juicy, tasty, scrumptious, yummy chicken breast, which tasted as if had been soaked in buttermilk before being battered and fried. It was so outrageously delicious – a perfect companion to the biscuit and gravy. If there were not any younglings in the place at the time I would have licked my plate clean, but one has a responsibility to act the part of a gentleman in the presence of younglings. Man Oh MAN! What a uber-yummy meal! We can’t wait to come back and try the other selections on the menu. Keep in mind – this is NOT a diner – and they don’t serve up fast food or diner food – therefore the menu is rather selective and somewhat limited, but their selections are enticing. I’d rather have limited and enticing than bursting with mediocrity! For dessert Pilar had a yummy and HUGE slice of Cheesecake and I tried the Bread Pudding. One kind suggestion is to be vigilant when cooking bread pudding, as you don’t want to overcook it. All in all a very satisfying meal for us both and we definitely plan on coming back. Great for singles, couples, romantic couples, families (with kids), groups.